Who needs a packet, when you can make your own homemade seasoning? 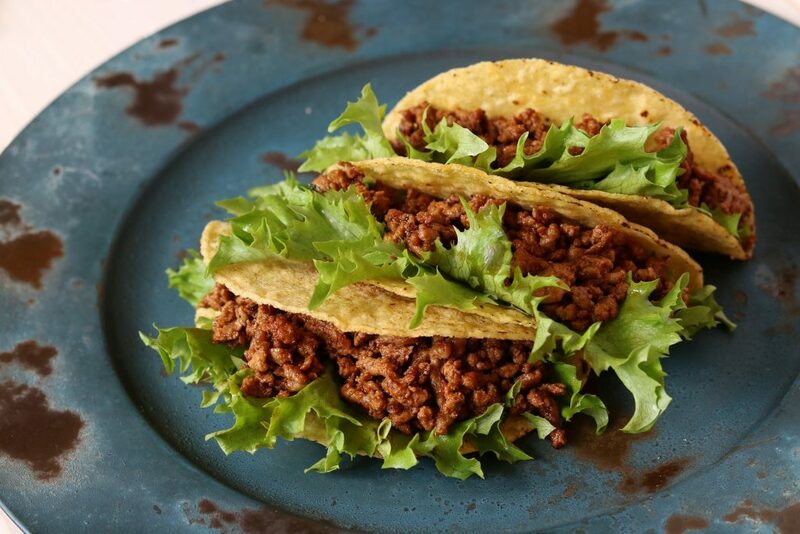 Prepare meat filling for tacos: In a large skillet, brown 1 pound ground beef until crumbly, drain fat. Add taco seasoning to meat with 2/3 cup water, mix thoroughly. Bring to a boil, reduce heat and simmer on low uncovered, 7 to 10 minutes, stirring occasionally. 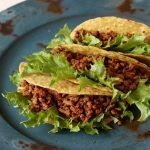 Spoon meat filling into warmed taco shells or tortillas. Top with shredded lettuce, grated cheddar cheese and chopped tomatoes. Garnish with fresh salsa, sour cream or guacamole if desired.